Donna Karan, Fashion Design ’87, was already a world-renowned fashion designer and philanthropist by the time she created Urban Zen, a brand dedicated to wellness, education, and the preservation of culture. Through the Urban Zen Foundation, she founded the Apple Awards, a charitable initiative that celebrates luminaries who have made a significant impact on society and share the foundation’s commitment to its principles. Towers was honored alongside the model and cosmetics CEO Iman, and photographer Jimmy Nelson. Parsons has a long history with Karan and Urban Zen, which culminated in the formation of the Design, Organization, and Training Center (DOT) in Haiti, which supports the development of the artisan community, fosters innovation, and provides access to resources and machinery. 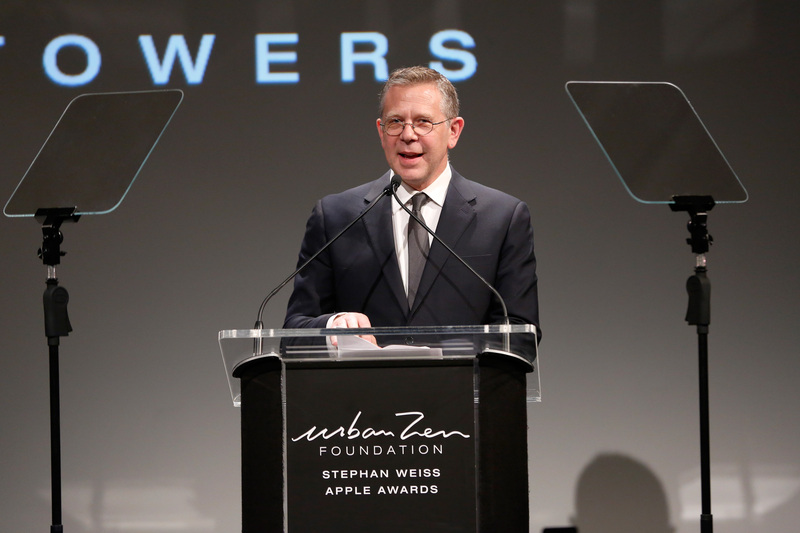 The Parsons curriculum is rooted in the idea that design can change the world, a principle that Towers has advanced during his more than ten years as executive dean, and something he touched on during his acceptance speech.